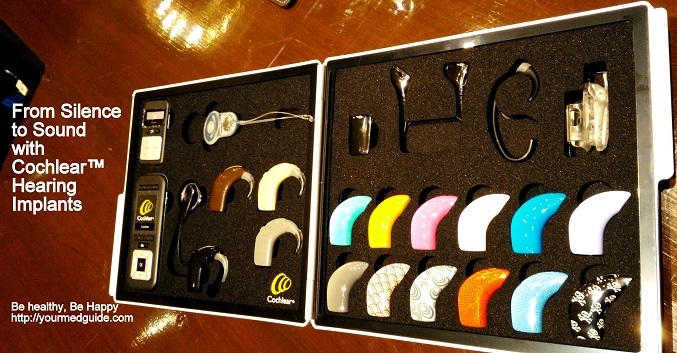 Last week, I had the pleasure of attending a presentation by Cochlear™ India to learn about the impact of hearing loss and the range of solutions they offer to resolve this. The campaign is called #SoundsOfCricket, with Cochlear™’s Global Hearing Ambassador Brett Lee, world-famous cricket celebrity championing the cause. We also had the pleasure of meeting the young recipient of a Cochlear™ implant and interacting with his mother, and his doctor, Dr. Vasanthi Anand, MS (ENT), who heads the cochlear implant program at Manasa Cochlear Implant and ENT Center in Bangalore. She is actively involved in awareness programs and screening camps, and arranging funding for needy patients. A lively Q&A with the doctor and Cochlear™ India representatives was very enlightening. 360 million people suffer from disabling hearing loss worldwide, of which 91% are adults and 9% – a whopping 32 million are children below 15 years.? Hearing loss can have a huge impact on the quality of life as it limits your ability to fully engage with the people and world around you, and in the process, undermine your physical and emotional well-being. Thanks to modern technology, they can regain their natural ability to listen, communicate and enjoy their everyday lives. What happens when hearing loss is not addressed in a timely manner? It is heartening to know that one no longer has to feel ashamed of or dejected with hearing loss. Of course, the first step towards treatment is understanding hearing loss and its causes, and the type of hearing loss, so that the right course of treatment can be chosen. Many children suffer from hearing loss due to a problem with the hearing nerve. For these children, a cochlear implant is the only option available. Cochlear™ implants have been successfully used in children in India for over 15 years with excellent results. These children have developed speech skills like normal hearing people. It is important to remember that although the implant will not restore normal hearing, it gives a hearing impaired person a close representation of sounds in the environment, helping them understand speech. Here is an amazing video showing Cochlear™ recipients experience the Wireless Accessories for the first time. Children and adults who are hearing impaired or severely hard-of-hearing are eligible for cochlear implants. Some adults who have lost all or most of their hearing later in life can also benefit from cochlear implants. They learn to associate the signal provided by an implant with sounds they remember. This often provides these individuals with the ability to understand speech solely by listening through the implant, without requiring any visual cues such as those provided by lip-reading or sign language. Use of a cochlear implant requires both a surgical procedure and significant therapy to learn or relearn the sense of hearing. Not everyone performs at the same level with this device. The decision to receive an implant should involve discussions with medical specialists, including an experienced cochlear-implant surgeon. Surgical implantations are almost always safe, although complications are a risk factor, just as with any kind of surgery. An additional consideration is learning to interpret the sounds created by an implant. This process takes time and practice. Each child needs to undergo Auditor Verbal Therapy, which teaches the child the meaning of speech sounds. For young children who are severely hard-of-hearing, implantation while young exposes them to sounds during an optimal period to develop speech and language skills. Children, who receive a cochlear implant followed by intensive therapy before 18 months of age, can hear better, understand sound and music, and speak better than their peers who receive implants when they are older. Studies show that eligible children who receive a cochlear implant at a young age develop language skills that equal those of children with normal hearing, and many succeed in mainstream classrooms. The longer one waits, the poorer the outcome is. Hearing aids only amplify sounds and will not work for children with hearing loss due to an issue with the hearing nerve. A child’s hearing capability will only improve with cochlear implants. The surgery will not affect her residual hearing. Can you believe that although human beings are born with five senses – vision, hearing, taste, smell and touch, every parent gets their child tested for long sightedness but don’t give the same attention to hearing loss?. There is scientific proof that hearing and loss of hearing has the most impact on an individual’s mental and social development. Hearing loss is often taken for granted in India, despite the fact that every year crores of Indian children are born deaf or are detected with a certain level of hearing loss. These children cannot develop speech and language abilities and must resort to sign language and lip reading, putting them at a disadvantage in school, limiting their future. Please do get your children tested for hearing loss. Don’t wait until it is too late. If your child is diagnosed with hearing loss and has been advised with a cochlear implant, why not talk to parents of children who have received cochlear implants so that you can make an informed decision? Hearing Loss: How Do You Deal With It? 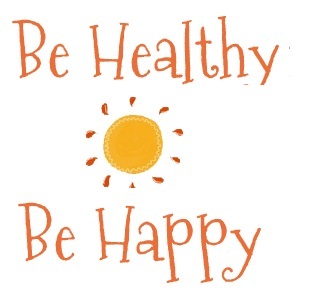 Quick and easy detox – do this first thing every morning!